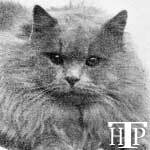 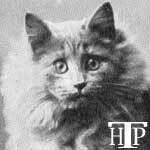 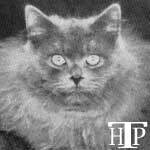 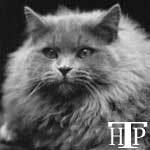 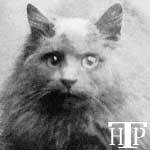 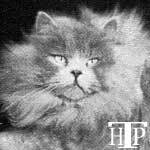 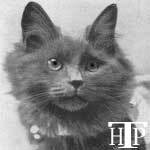 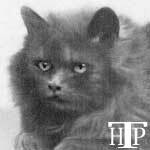 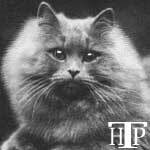 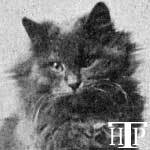 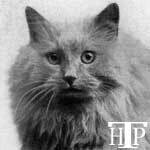 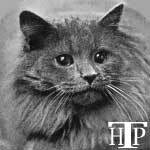 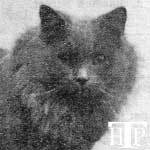 It is a simple historical fact that, for more than 100 years, the "Blue" was considered to be the "Prince of Persians" in England, where the Cat Fancy was born. 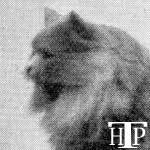 And this high status, continued to be enjoyed in other lands, into which the progeny of these valuable cats were subsequently imported, as the foundation stock for Persian catteries around the globe. 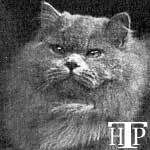 This was particularly the case in the USA, Canada, France, Germany, South Africa, Australia and New Zealand, where imported 'Pure' and later, 'colour-bred' Blues were still making their mark on the local breeding scene as late as the 1980's. 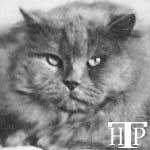 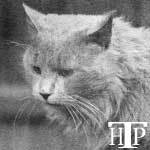 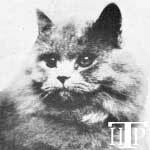 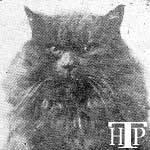 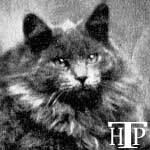 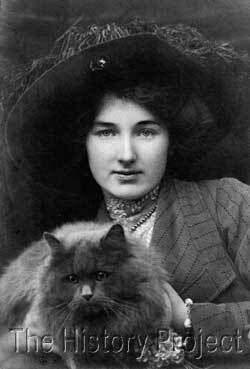 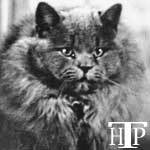 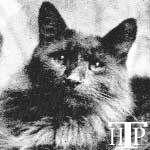 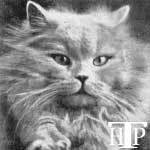 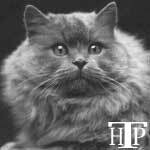 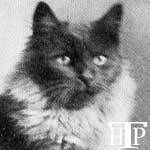 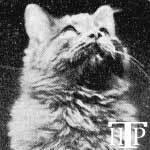 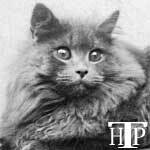 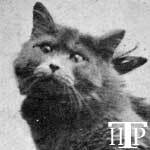 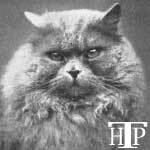 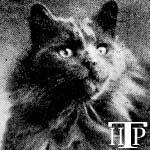 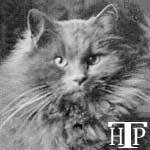 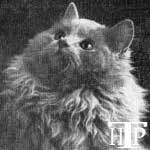 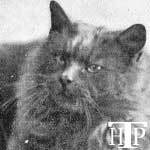 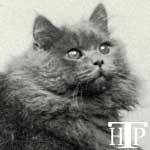 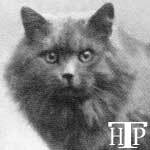 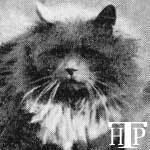 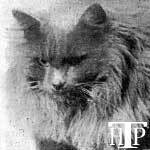 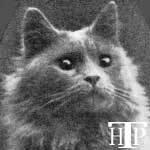 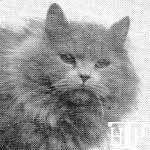 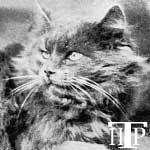 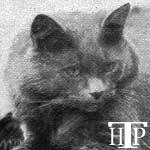 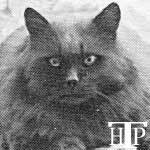 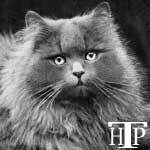 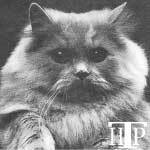 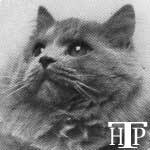 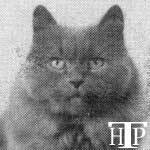 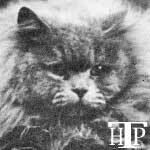 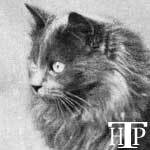 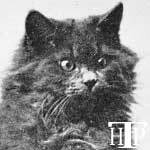 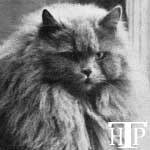 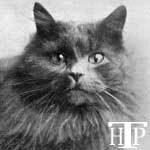 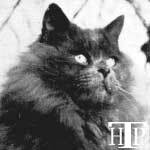 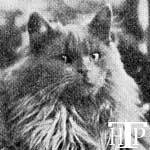 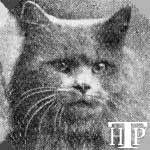 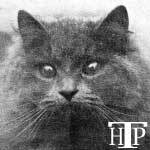 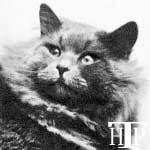 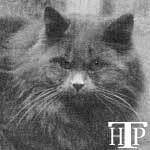 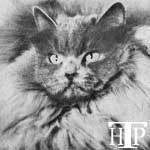 So, for approximately 100 years, 'the Blue' has enjoyed an elevated and invariably unparalleled status, a true and contributing 'Blue-blood' of feline aristocracy. 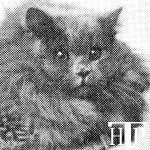 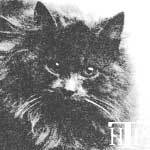 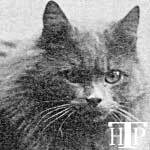 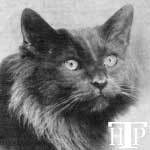 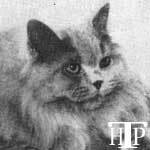 But 'the Blue' had very humble beginnings, the first ones appearing in litters of Blacks mated to Whites, with both parents carrying the dilution factor. 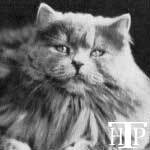 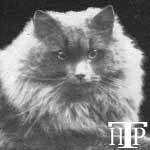 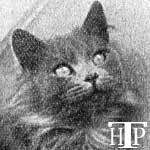 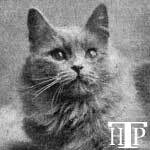 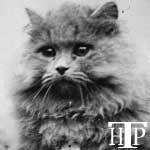 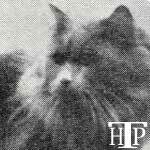 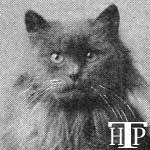 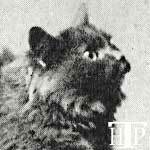 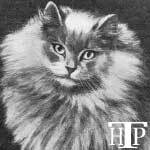 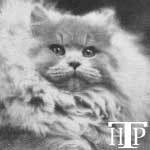 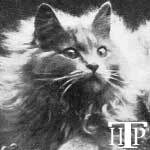 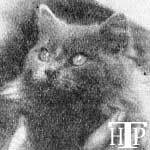 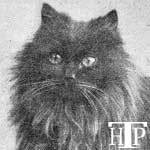 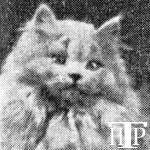 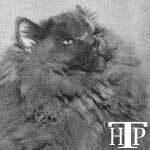 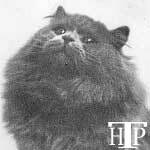 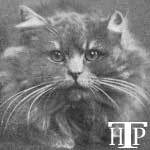 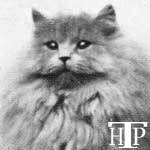 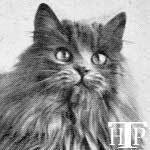 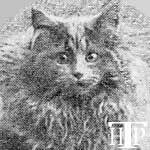 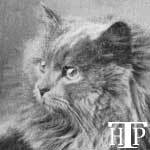 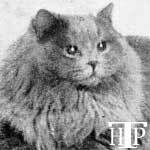 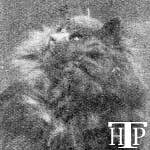 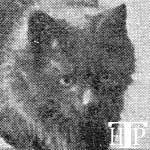 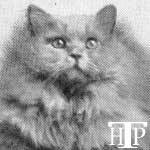 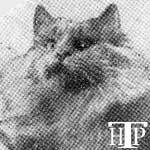 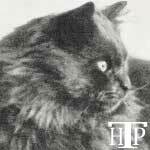 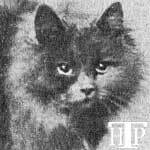 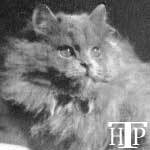 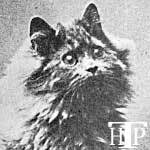 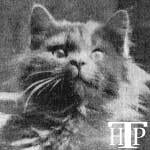 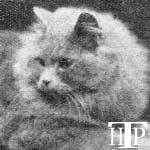 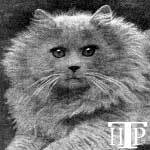 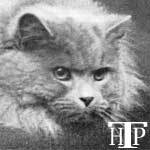 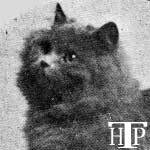 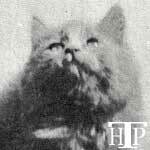 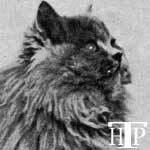 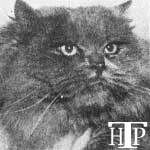 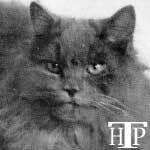 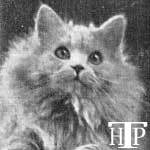 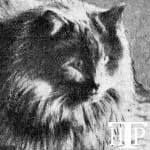 Miss Frances Simpson was among the first to show them in the mid 1880's, and it was only a matter of a few years before they were becoming popular enough among early breeders to warrant a show class of their own. 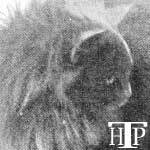 From there. 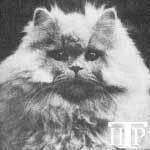 they grew from strength to strength, regularly claiming Best in Show above all-comers. 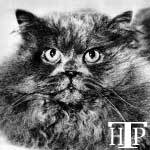 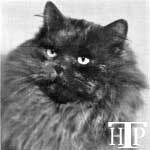 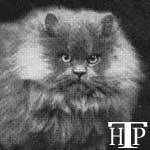 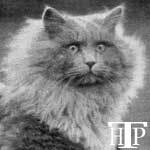 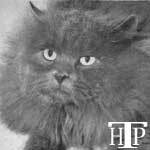 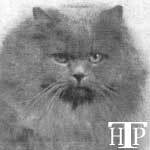 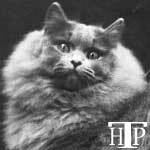 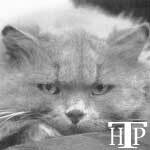 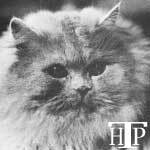 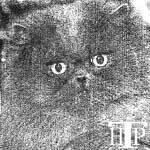 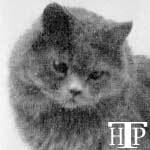 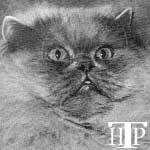 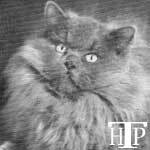 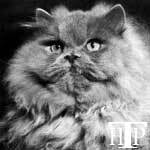 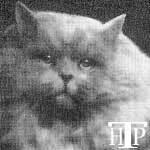 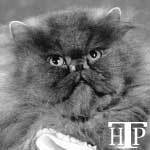 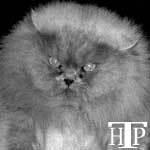 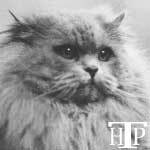 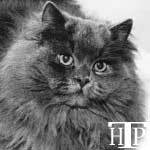 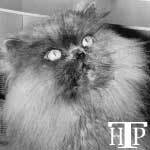 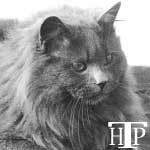 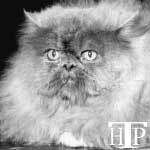 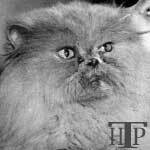 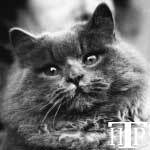 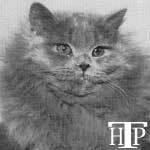 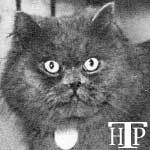 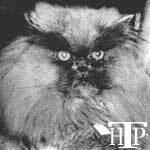 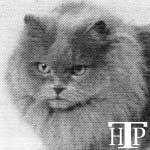 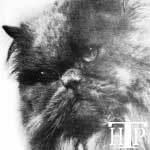 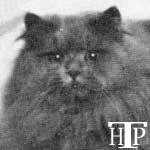 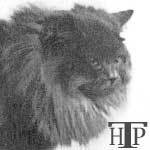 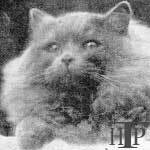 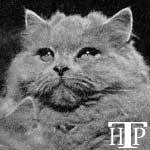 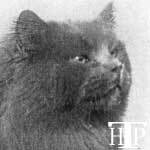 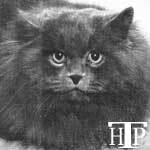 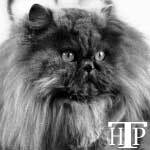 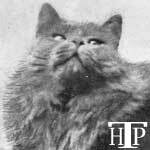 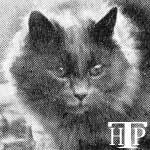 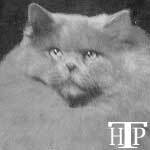 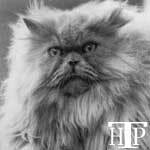 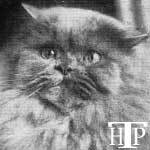 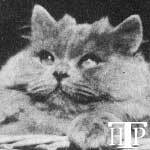 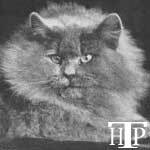 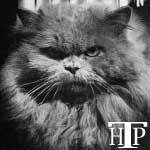 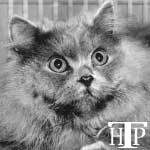 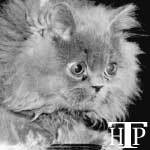 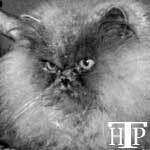 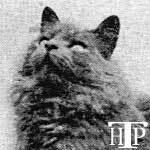 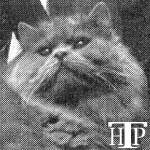 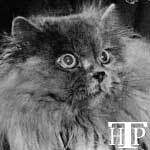 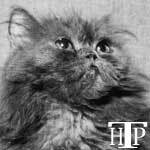 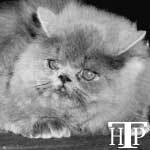 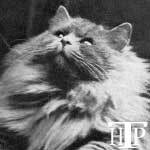 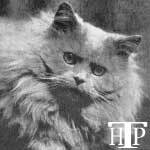 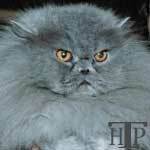 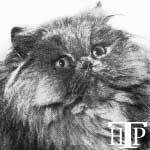 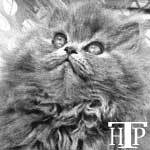 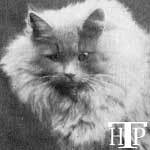 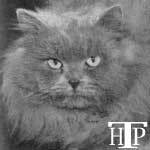 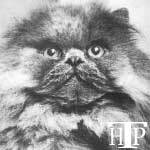 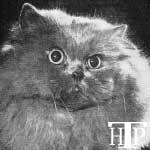 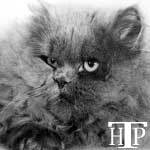 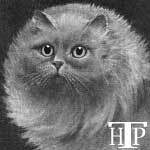 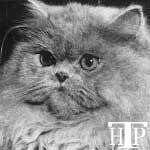 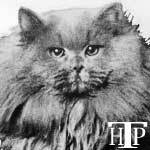 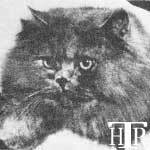 The Blue Persian Cat Society (B.P.C.S.) 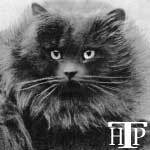 is the oldest Specialist Club in the world. 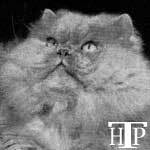 Among the list of colours that have taken the coveted title of 'Cat of the Year', the Blue Persian can probably still claim to rank as possibly the most successful to date. 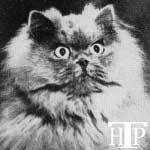 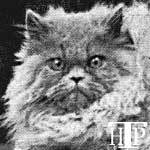 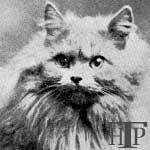 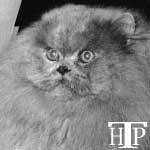 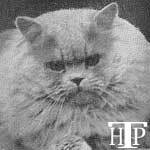 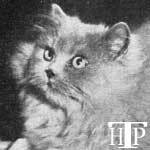 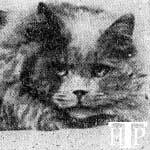 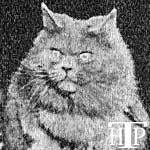 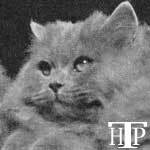 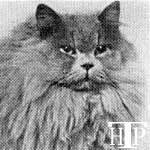 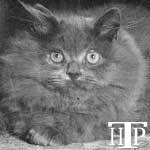 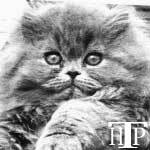 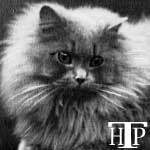 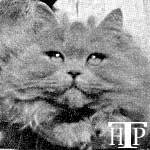 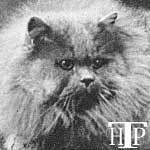 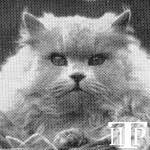 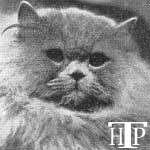 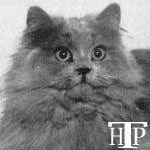 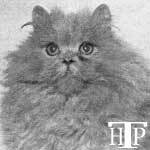 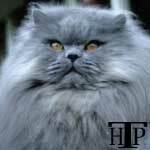 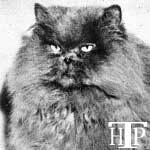 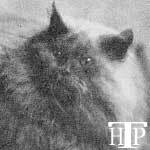 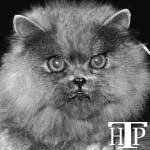 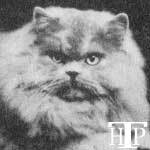 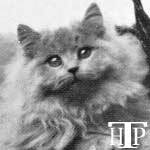 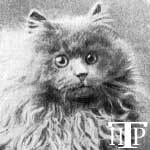 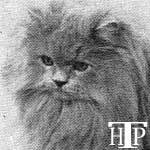 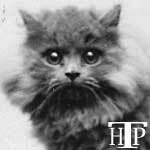 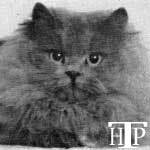 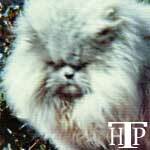 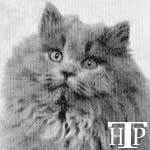 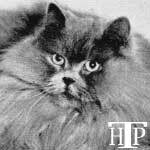 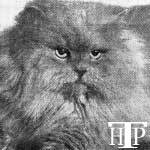 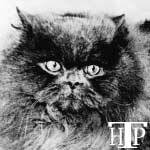 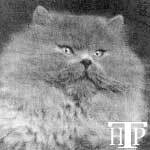 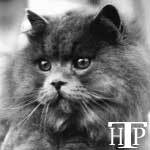 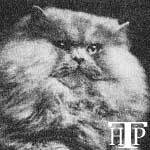 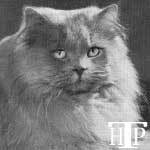 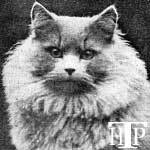 So it is to the development of the Blue Persian, and it's particularly devoted breeders, that Persian cat fanciers in general owe the greatest historical debt of gratitude; for enhancing and improving the consistency of Persian type or conformation, across what is now literally a myriad of colours and patterns.